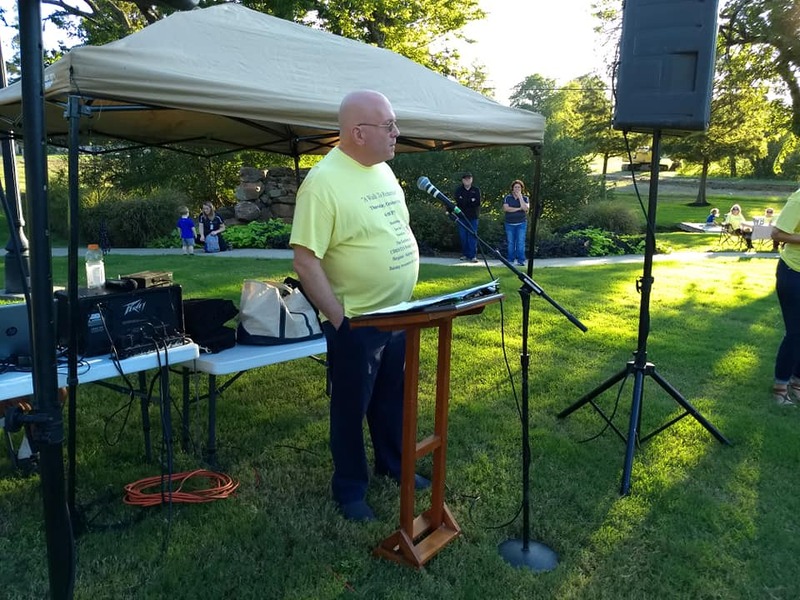 On a lovely Autumn evening, several dozen persons gathered for the “Walk to Remember” Alzheimer’s Walk in the Gardens at Christus Mother Frances Hospital in Sulphur Springs. Support is strong locally for the Terrific Tuesdays Alzheimer’s Respite Program. 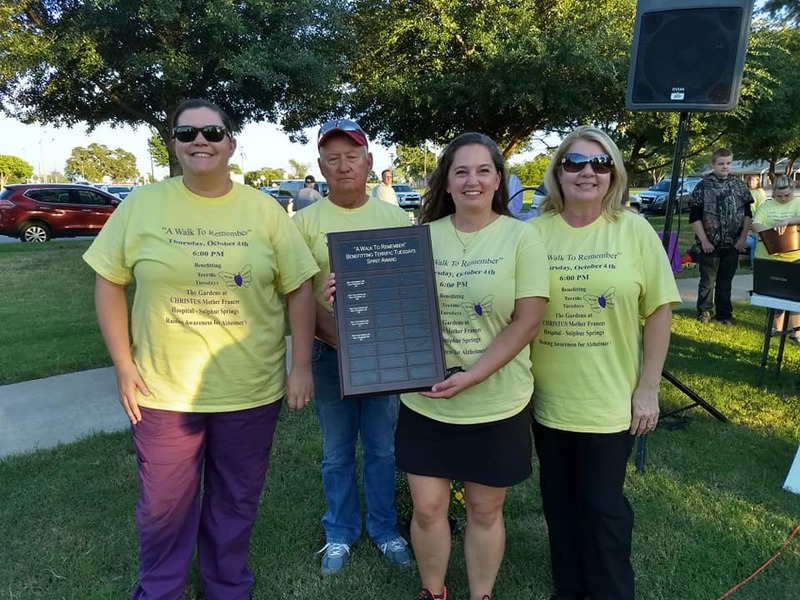 During the annual Walk, it’s $10,000 goal for 2019 program funding was surpassed with final donations, sending the total to over $14,000. Terrific Tuesdays Director is Tammi Reardon. 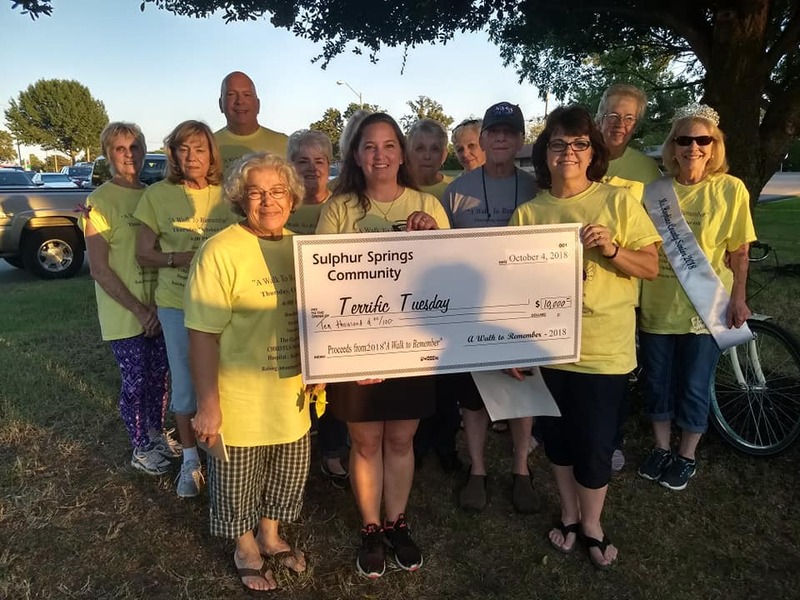 Karon Weatherman and patrons of the Sulphur Springs Senior Citizens Center also provide support and encouragement for the program. Terrific Tuesdays Volunteers Judy Goodwin, Jim Thompson, Karen Light Strickland, Director Tammi Reardon, Jean Darr, Hillis Bass, Susan Johnson Smith and Mary Ivey. Cheers filled the air when the grand total of donations was announced! Major contributors were recognized and two special awards given based on amount of donations raised. 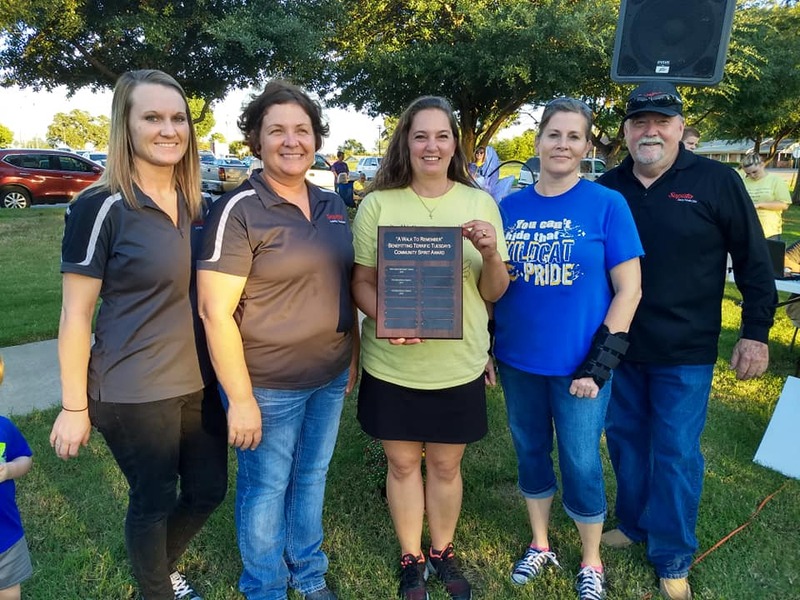 The facility award, or Spirit Award, went to Wesley House/Wesley Oaks. The business/industry award, or Community Spirit Award, went to Saputo. Both entities are multi-year winners with a strong employee commitment to the cause of Terrific Tuesdays. Spirit Award went again to Wesley House/Wesley Oaks for largest donation, $2,240. Jim Thompson gave a stirring talk on the importance of Terrific Tuesdays in his family. His mother, Lil Thompson, benefited from the program. Thompson is currently a member of the Alzheimer’s Support Group, a companion program of Terrific Tuesdays. Sunny Springs Nursing and Rehab $1,381. Hopkins Place $700. SS Health and Rehab $110. Rock Creek Health and Rehab $480. Wesley House/Wesley Oaks $2,240 SS Imaging $160. Saputo $1,000. A Quilt Raffle was also part of the fundraising. 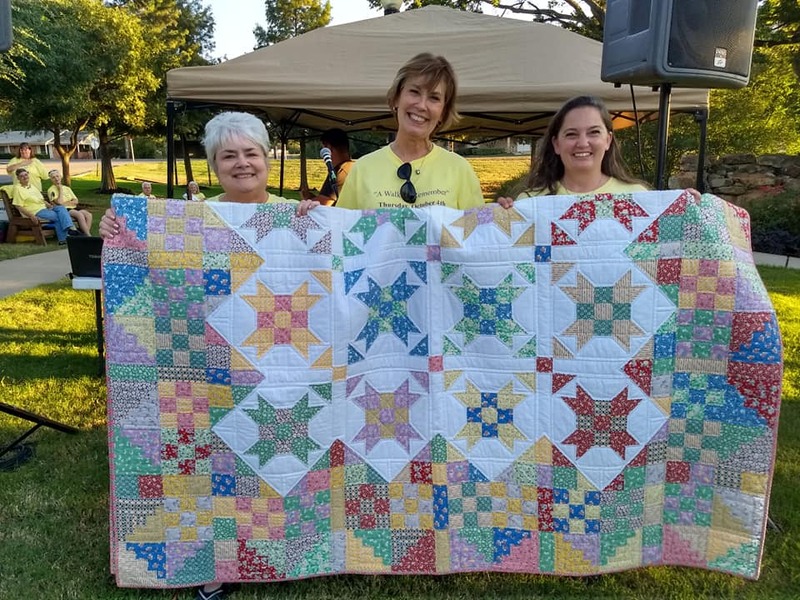 Jan Morrison made the quilt and Terrific Tuesdays Volunteer Karen Strickland was the winner. 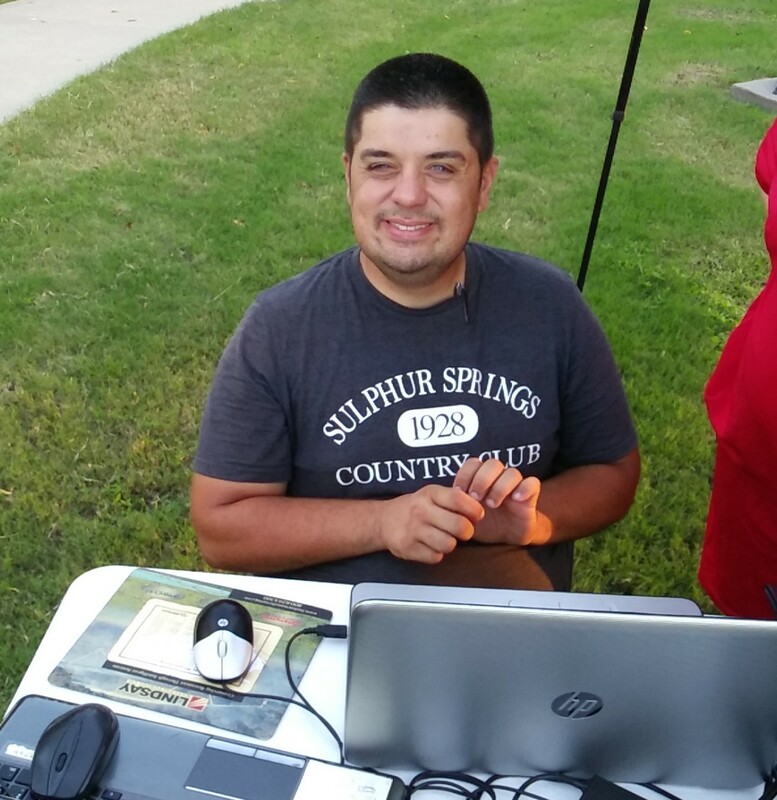 Jake Gibson filled in for Gary Spraggins as music DJ for the Walk.